Travel Gluten Free is a guide for those of us who lead a gluten-free lifestyle. Join Travel Gluten Free's host Elikqitie as she gives insights to how to enjoy your gluten-free lifestyle at home, at work and during travel. Learn the ins and outs of how to successfully be gluten-free with less hassle and more fun and enjoyment! Elikqitie explores the gluten-free side from chefs, restaurant owners and people who lead a gluten-free lifestyle. Episode 47 | Meet Me at Nourished Expo in Utah and Colorado! 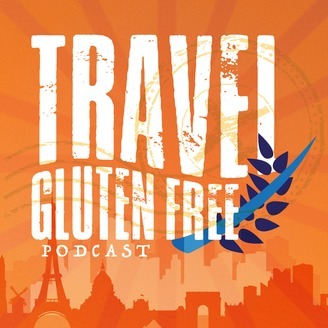 Welcome to the Travel Gluten Free Podcast, where you, my friend, listen in on how to lead a gluten-free lifestyle with more fun and ease! This is Elikqitie and I founded Travel Gluten Free for you! I want to be a resource, contributor and support to you on your gluten-free journey! If you haven't been to a gluten-free festival, you are missing out on one of the most fun, food-centered events for those of us who are gluten-free. When you attend an expo, you walk through aisles upon aisles of gluten-free goodies, products and deliciousness.And the samples...you basically eat your way through the expo - you're so full by the end of the show! Besides the food, there are also great speakers and classes on topics from baking and cooking gluten-free to living with auto immune disease. There's such an array of experts and topics to choose from, and they're all included in the price of your ticket! Come out and see me at the Nourished Festival in Sandy and in Denver, Colorado! I'll be there getting pictures of my gluten-free friends, other influencers in the gluten-free circle and new products I've discovered. Would you like FREE TICKETS? No problem. Check out my Instagram feed to get a hold of complimentary tickets to either the Sandy or the Denver show! Click this link to get free tickets to both shows! Looking for a Great Travel Deal? Visit my Travel Deals page on my website! It's packed with deals for discount airfare, car rental, airport parking and much more, including discount trips to Italy. 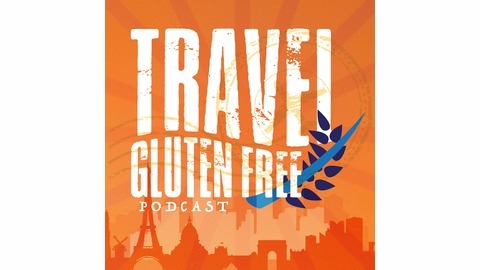 Support Travel Gluten Free! For as little as $3 a month, become a show sponsor through Patreon.com Support the podcast which supports you, Travel Gluten Free! Episode 46 | Happy National Park Week!